Yesterday, after my first day of work in 4 months, I looked in the fridge for the correct beverage choice: A Grown Up Soda (GUS) looked back at me. The brew comes in a clear bottle, which is markedly different than the standard brown bottle. This soda is a “lightly sweetened root beer with birch oil & vanilla” and is “100% natural” and “not too sweet.” Or so says the bottle. 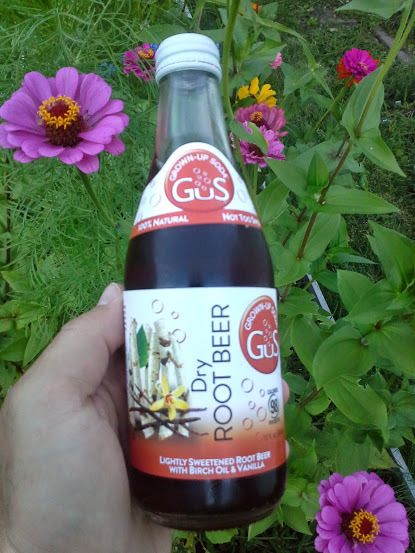 The bottle also says that “GuS Dry Root Beer is a refreshing new take on an American classic. Birch oil, a hint of real vanilla, and a touch of clove give our distinctive root beer a big flavor without the cloying sweetness.” This root beer made its debut in December 2011 and according to the press release, it can be found in, “specialty and health food grocery stores, gourmet eateries, cafes and upscale restaurants.” It’s time to see whether my palate is refined enough to enjoy such an upscale soda. My first sip wasn’t very tasty and the second sip was only slightly better: this is not root beer. Logan had one sip and refused to drink any more. I’m debating whether to have more. It’s really not good. 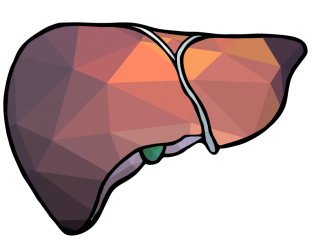 There’s some weird aftertaste, which follows the not-so-good initial taste. It certainly isn’t like the other root beers. There is an extreme difference between this and all other root beers we’ve sampled thus far. It’s definitely “a new take” and “distinctive”, but those aren’t good things. There’s a reason Crystal Pepsi and New Coke didn’t last for long. I would also add that this is definitely the hippie version of root beer. One of the ingredients is Quillaja, which according to wikipedia is a plant used for foaming, but also used to make soap. You can call this a soda, but it’s not a root beer. The aftertaste is really off-putting and I’m not going to finish it. It’s that unpleasant.